Now that the cruise ship passengers have spoken and have had little good to say about Dominica; now that they have had their say about the quality of service and things to see and do here, the authorities are looking to steady the ship. The 2015 survey on the economic contribution of cruise tourism conducted by custom market analysts Business Research and Economic Advisors (BREA) for the Florida Caribbean Cruise Association (FCCA) painted Dominica as a destination of unfriendly people, discourteous store employees and with little to see or do. The country placed at or near the bottom in passenger satisfaction with things to see and do, welcome on the ground, courtesy of store employees and taxi and transportation. Dominica was dead last when passengers were asked how likely they were to recommend the destination to family and friends. This harsh reality has shocked authorities here into action in an effort to repair Dominica's image and raise passengers' satisfaction level. 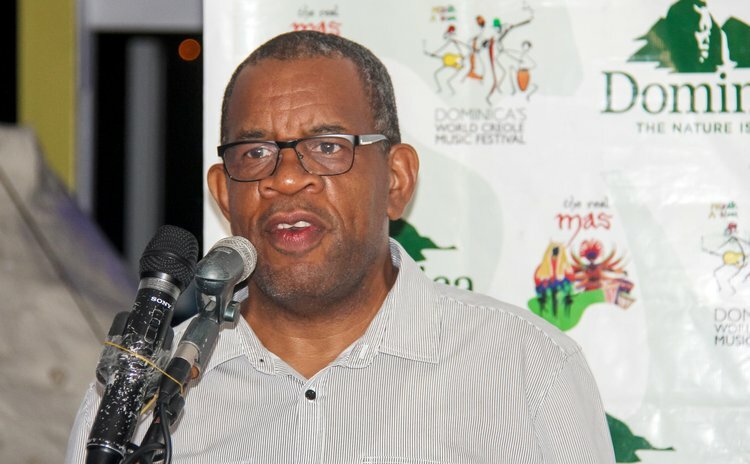 "We have taken a hard look at the BREA study and come next season you will see a [number of things] being done," Benoit Bardouille, chief executive officer of the Dominica Air and Sea Ports Authority (DASPA) told The Sun. While Bardouille revealed few details of the plans, the idea, he said, was to improve the passengers' experience from the moment the ship docks through to its departure. "What we intend to do is impact on their experience, and if we impact their experience, our scores will change," he explained. Among the most appalling survey results were the scores on the friendliness of Dominicans. The 1296 passengers and 553 crew who completed the study found Dominicans to be unfriendly, ranking the country near the bottom in terms of passengers' perception of the friendliness of the people. This was somewhat baffling to Bardouille, who linked this result to the welcome that passengers receive. Dominica was ranked dead last in passenger satisfaction with the initial shoreline welcome, while the taxi and local transport operators did not score too well either, placing fifth from bottom in this category. "If you look at friendliness, Dominicans are some of the friendliest people in the world, so that is of concern to us," the DASPA boss told The Sun. "It could be the way we sell ourselves. It could be when they get off the ship, what they see is a set of taxi men using foul language, and hassling them, and they may think 'these people are not friendly'. If it were you, what would you think?" A critical part of Operation Restore will be a training programme. This could lead to some people being weeded out of the industry if they are found to be unable to adjust to the enhanced requirements, Bardouille said. "It's the experience we are going after, because going after the experience might help people to think differently about the country. It may mean getting rid of the gypsy taxis - and they are not giving a good experience. That's where we need to bring that aspect to a level where it can match up, we can get scores of eight and above." In addition, emphasis will be placed on improving the product, which could be a difficult and costly exercise. Cruise passengers and crew said in the 2015 survey that they were dissatisfied with the variety of shops here, the courtesy of store employees and the overall shopping experience. They were also not enamoured of the variety of things to see and do and ranked Dominica above only the Dominican Republic with overall satisfaction. "We are looking at the product itself, we are looking at the training, we are looking at the physical infrastructure, we are looking at the welcoming experience. So it's a rounded approach," the head of the port disclosed. "So we are looking at every single aspect of the [study] and see what to do."